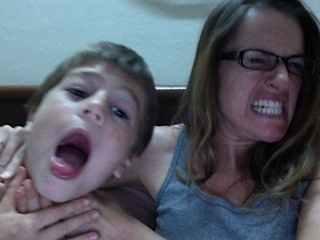 The good news is that we haven’t killed each other yet. The bad news is that we STILL have 24 more days in the Cold Room together. 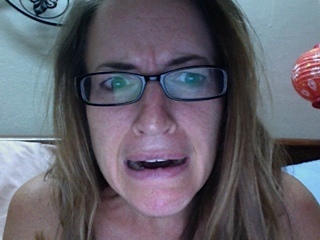 Hmmm…does that look like a person who can take 24 more days? We are growing closer…much closer. Is this a good thing? 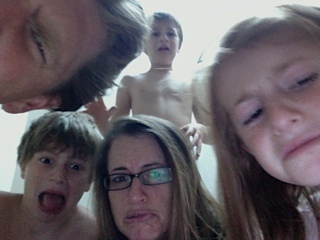 Remember the old adage “the family that camps together stays together”? Well I am hoping this is true for families who spend months sleeping in the same room together too! Chocolate chip cookies, in the hot season, are actually just “chocolate cookies” since by the time you stir in the chocolate chips they are melted and turn the whole batch of dough chocolate! Andy has lost ten pounds. Nikki…well, let’s just say she is jealous of Andy’s shed pounds! Mangoes are about $1/kilo right now! Cheap! 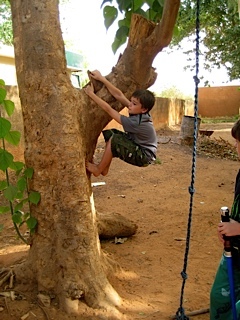 Nigerien’s have little plastic bags full of water or frozen yogurt to keep cool on these impossibly hot days. Swimming pools feel a bit more like baths — but at least it takes away the feeling of constant sweat. Well, there are probably more things about our first hot season to share with you, yet I am too hot to think about it anymore. 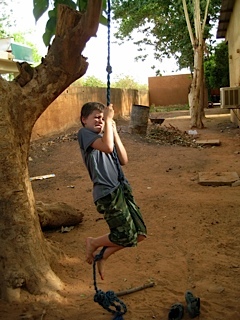 From the Kids: termites, ant lions, lizards, tree-climbing, cultures, hiking, the arts & swimming! 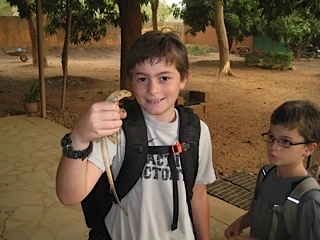 I asked our kids what they would want to share with friends and family back home regarding their lives here in Niger — and many things (and creatures) came to mind! 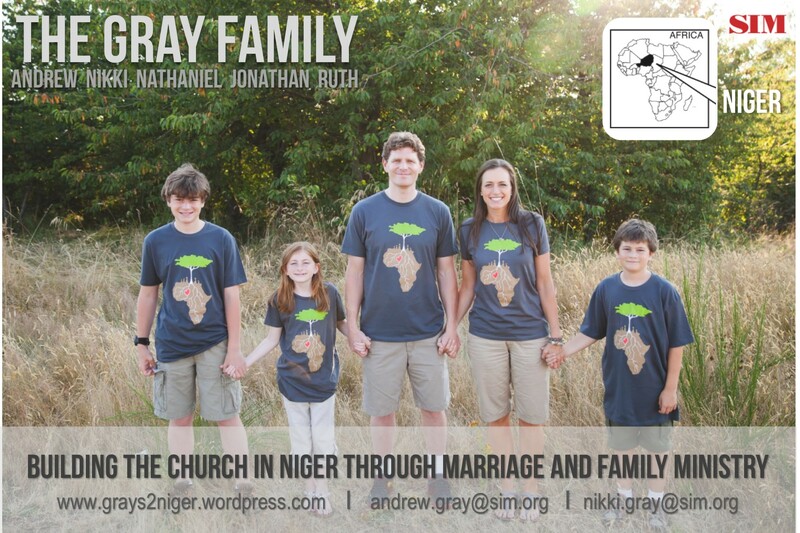 Here are some pictures and explanations from Nathaniel, Jonathan and Ruth! 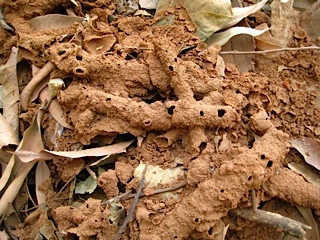 (above) This is a pile of wood with reddish-dust left behind after termites have eaten their way through it. 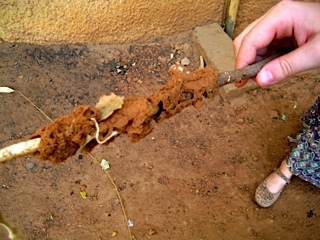 Here is a stick with the distinctive termite dust all around it. 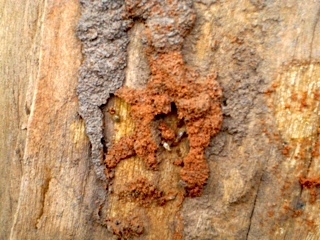 If you look closely here you can see the termites! 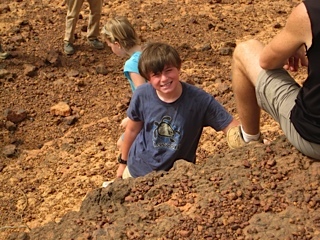 Jonathan and Nathaniel told me this is a rare find — to actually see them at work! Ant Lion: what a cool name, huh? The kids tell me that this insect makes traps for ants, so they can catch them to eat them. 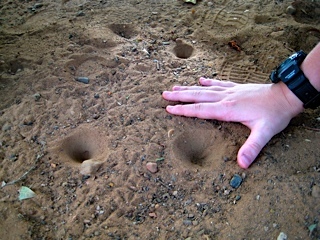 They also say that is almost impossible to see an ant lion…but you can see their traps everywhere! This next picture is a common sight…little holes in the sand! Lizards: the boys think that lizards here are more common than squirrels back in Washington! Whether or not that is true, there are A LOT of lizards here! Our boys have learned some techniques to catch them — and release them — which you have to admit is pretty cool! 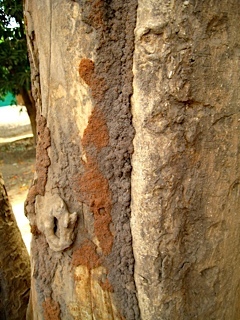 Trees: here are some things you can do with trees here in Niger! 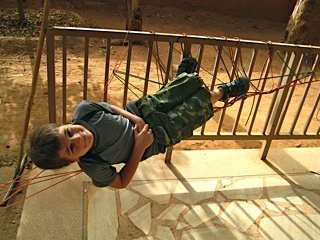 (below) Jonathan and Nathaniel built this hammock on our porch! 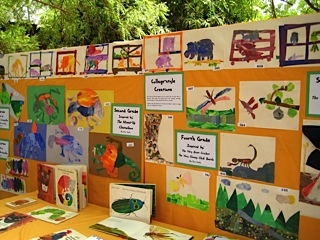 Arts Festival: recently their school celebrated the Fine Arts with a special show! 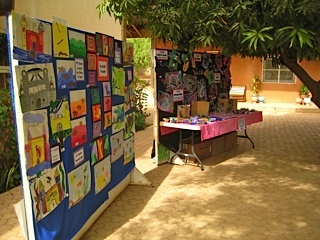 There was a drama, performances of students playing musical instruments & singing, and lovely displays of artwork done throughout the school year. 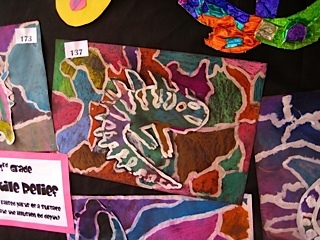 Here are some photos of the arts festival! 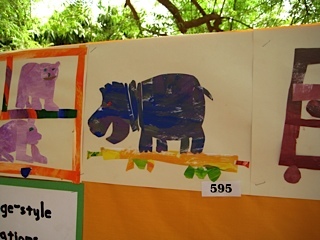 That is Jonathan’s hippo! I love it! 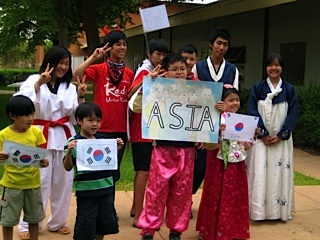 Culture Day: There are kids from all over the world at this school, so there was an entire day set aside to celebrate these cultures! 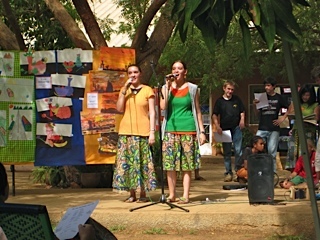 The students dressed up in their culture’s traditional styles, shared traditional foods, and shared with each other the various customs unique to each one. 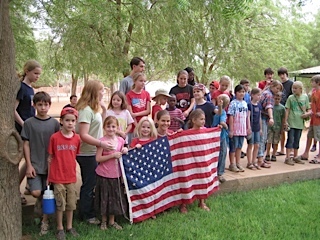 Here are a few of photos — there were so many to choose from, but you’ll get the idea! 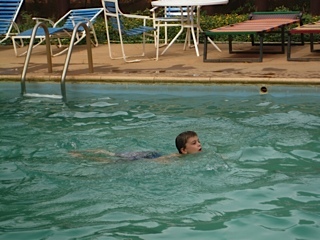 Swimming: since it is SOOOO hot here, we are all thankful for the American Rec Center’s pool! Here is one place the kids can cool off and have some fun! 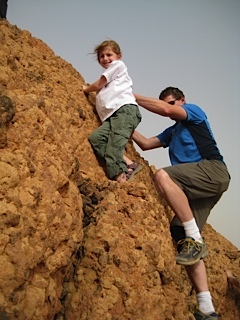 Hiking: It is far cry from Mount Rainier but the Three Sisters Hike is right outside the city of Niamey and we tackled it recently. 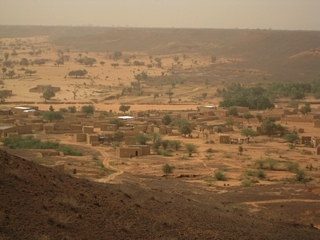 A view of the valley below from the top of one of the Sisters’ — that is a typical-looking Nigerien village! Well, that is a lot to take in. 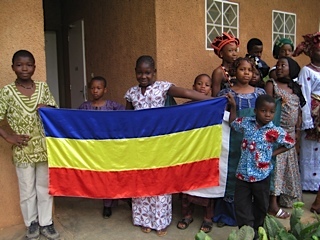 Nathaniel, Jonathan and Ruth are learning a lot in this new land! 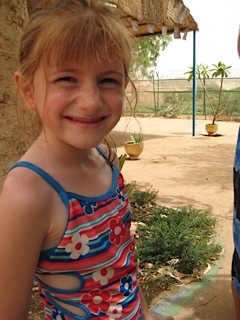 Thanks for reading this and please pray for them as they continue to adjust to the heat and being away from family. If you have a message or a specific question for them, please write back! They love to share their experiences and I will help them email an answer to you! nikkigray3@gmail.com or you can leave a comment on this blog. 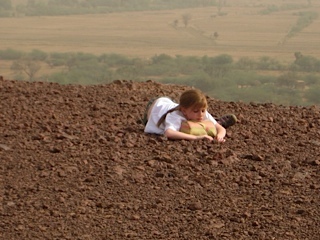 Time to go chase some lizards….